For employers, the cost of noncompliance with the Immigration and Nationality Act ("INA") has always been high, but it just got higher as a result of recent adjustments for inflation. In the case of Form I-9 violations, penalties have risen 96%. These dramatically increased amounts apply to civil monetary penalties assessed after August 1, 2016 for violations that occurred after November 2, 2015. The penalties are serious business and act as a solemn reminder that employers should regularly audit their Form I-9 compliance processes. This Article provides a general overview of the Form I-9 process and answers to some of the most common questions asked by employers. A complete list of the new penalties is set forth in the table below. Form I-9, Employment Eligibility Verification, must be completed for all newly hired employees in order to establish the employees’ identity and authorization to work in the United States. Newly hired employees must complete Section 1 of Form I-9 no later than the first day of employment. Employers must complete Section 2 of Form I-9 by examining evidence of identity and employment authorization within three business days of the employee’s first day of employment. For example, if a new employee starts work on a Monday, Section 1 must be completed by the end of the day on Monday and Section 2 must be completed by the end of the day on Thursday. For employees who provide an employment authorization expiration date in Section 1, employers must complete Section 3 to re-verify employment authorization on or before the date provided. Employers must retain Form I-9 for all current employees hired after November 6, 1986. Once an individual’s employment ends, the employer must continue to retain the employee’s Form I-9 for either three years after the date of hire or one year after the date employment ended, whichever is later. May an employer specify which documents an employee should present for Form I-9? No. The employee may choose which document(s) to present from the Lists of Acceptable Documents. An employer must accept any document(s) from the Lists of Acceptable Documents that reasonably appear to be genuine and relate to the employee. To do otherwise may result in the employer’s violation of the anti-discrimination provision of the INA. May an employer make copies of some employees’ documents but not others’? No. Form I-9 regulations allow employers to choose whether to keep copies of documentation employees submit to complete Form I-9; however, if an employer chooses to retain copies of such documents, the employer must do so for all employees. Remember, consistency is key or the employer may be in violation of anti-discrimination laws. Additionally, it should be noted that if an employer participates in E-Verify and the employee presents a document used as part of Photo Matching (e.g., U.S. passport or passport card, Permanent Resident Card (Form I-551), or Employment Authorization Document (Form I-766), the employer must retain a photocopy of the document presented. Should an employer re-verify lawful permanent residents whose "green cards" have expired? No. Expiration dates on Form I-551 permanent resident cards have no impact on current work authorization. Employers should not re-verify expired permanent resident cards. May an employer use E-Verify to confirm the continuing employment authorization of workers who are subject to Form I-9 reverification? No. While an employer participating in E-Verify must use E-Verify for all new hires, the employer cannot use E-Verify to re-verify employees who have temporary employment authorization. What should an employer do if it discovers an employee’s Form I-9 is missing? If an employer discovers a Form I-9 is missing, the employer and employee must complete a new Form I-9. The newly completed Form I-9 should not be back-dated. What should an employer do if it discovers a Form I-9 is only partially completed? If an employer discovers a Form I-9 is only partially completed, the employer and employee, as applicable, should finish completing the Form I-9 as soon as possible. The employee should add any missing information to Section 1 and initial and date the revision, and the employer should add any missing information to Section 2 and initial and date the revision. E-Verify is the federal government’s Internet-based system that allows employers to electronically verify the employment authorization of new hires. Do the Form I-9 penalties apply to E-Verify, too? No. However, an employer who participates in E-Verify and fails to notify an employee of final nonconfirmation of the employee’s employment eligibility is subject to a civil monetary penalty ranging from $751 - $1,502. 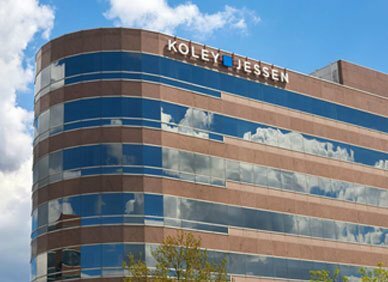 If you have additional questions about Form I-9 completion, Form I-9 audits, E-Verify, or other general questions about immigration compliance or employment-based immigration, please contact Ryan J. Sevcik or Stephanie A. Grattan, members of Koley Jessen’s Employment, Labor and Benefits Practice Group.